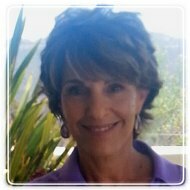 Ft. Lauderdale Therapist: Bobbi Newman - Therapist 33309. Send A Message To Bobbi. Relationships are difficult. Yeah, they are. The problem is that we have an expectation that the romantic stage...the stage where you fall in love and don't want to spent any time apart. Everything about your new love is amazing. You can talk forever about everything, and all is well with the world. We love that stage! The second stage, power struggle is the beginning of the disappointments. Within that stage are the gifts of growth and healing. If you knew how to navigate the conflicts, you would do it. Imago Therapy teaches you how to communicate through the conflict in a healthy and connecting way. You really can have what you signed up for. I've been working with couples for 20 years. I love helping people discover that the problems they have are opportunities for connection....deeper and deeper connection. As you read my website, I think you'll find your own relationships in the article and in the testimonials. If you want more information, or just to connect with me personally, feel free to call and we'll talk. My greatest joy is to help you get what you want....a relationship that works!